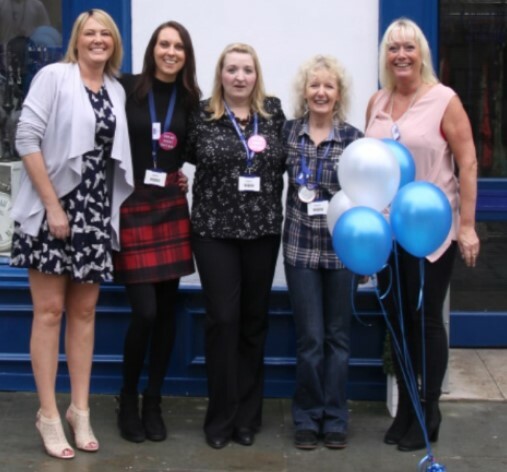 RSPCA Halifax, Huddersfield and Bradford District Branch is celebrating the 10th Anniversary of the Charity Shop once dubbed the Harrods of Charity Shops! The mini department store in the former Queen’s Hall dance hall, Queens Road, Halifax opened it doors for the first time on 12 March 2009 and has gone from strength to strength, selling everything that you would find on the high street. The only difference is that it’s all second hand and all profits go directly to support the RSPCA Halifax, Huddersfield, Bradford and District Branch Animal Centre, located at Wade Street, Halifax. On Saturday 9 March, 1:00pm-3:00pm, to mark the occasion the shop is hosting a Million Thank Yous Afternoon Tea and invitations have been sent to supporters and volunteers, including Patron of the Branch Kate Hardcastle MBE. The shop boosts an array of furniture from antique to modern, dining tables to three-piece suites, children’s wear to ladies and men’s fashion and accessories, household items including electrical to toys, you can find them all at this charity shop. Since it opened, the shop has boosted the finances of the RSPCA, taking over £1,000,000 during the 10 years of trading with all profits going directly to support the running costs of the RSPCA Animal Centre. Many of the animals that come into RSPCA care have suffered in the hands of their previous owners and are in need of veterinary treatment and need nursing back to health before they can begin their rehabilitation. Each animal is provided with a specific programme whilst in RSPCA care, ensuring that they receive the correct diet, correct exercise and training. Some of the animals, especially the dogs need extensive training and behaviour programmes before they are ready for adoption and many remain in RSPCA care for several weeks and some even months. The RSPCA Halifax, Huddersfield and Bradford District Branch currently operate shops throughout the branch area, located in Brighouse, Hebden Bridge, Huddersfield Trinity St., Huddersfield Byram Street, Cleckheaton, Pudsey, Bradford Godwin Street, Bradford James Street and Queen’s Hall, King Cross, Halifax, plus a new shop is soon to open in Holmfirth. Donation of clothing and small household items can be accepted at any of the shops, or for collection of furniture or multiple bags please ring 01422 362461.